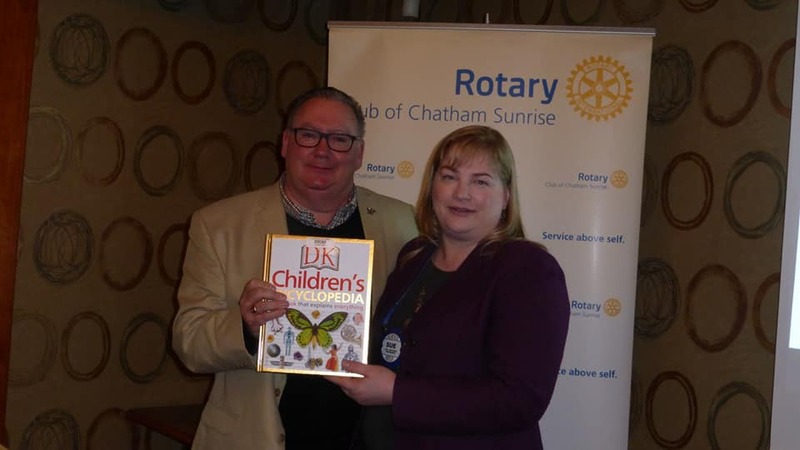 Welcome to new Members - Scott Burke and Danielle Hunter. shared an update on the Butterfly Building campaign. Susan Stevens-Bechard thanked Mike with a book donated to the Library in his name. 200 CKSS students had their pinkie finger nail painted purple for Polio. Free Pizza was provided by to all the students who supported World Polio Day on October 24th. It's that time of year, again! 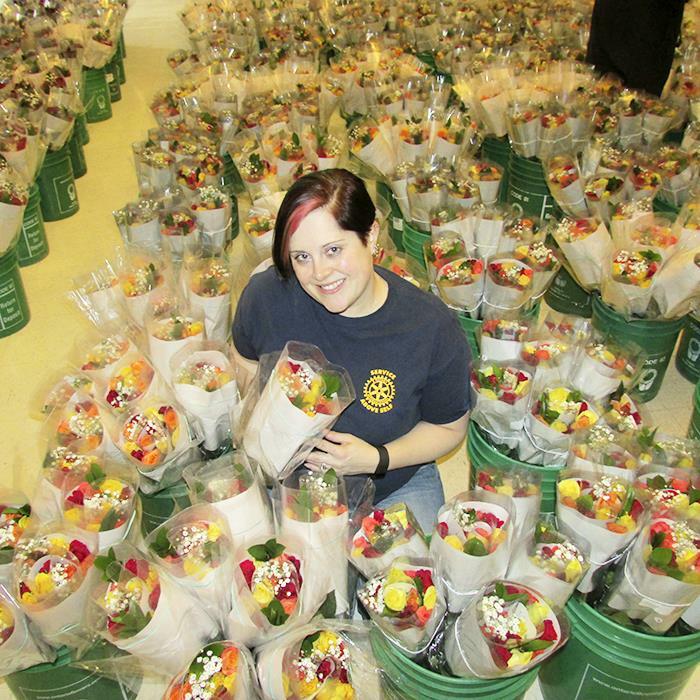 Time to order your roses in support of our local community projects! Roses are only $25 a dozen. We can deliver or you can pick up at the Portuguese Canadian Social Club of Chatham. Email info@rotarysunrise.com or click here to order!! We work hard, we play hard! Spending our Saturday night with friends at our Rotary Sunrise Christmas potluck. Raising of the Flag at the Parkfield Restaurant today. Thank-you to Community Living for allowing us install the new flagpole and plant 500 of the Canada 150 Tulips for a spring bloom. We were able to exchange club banners with Dhairya, from India. 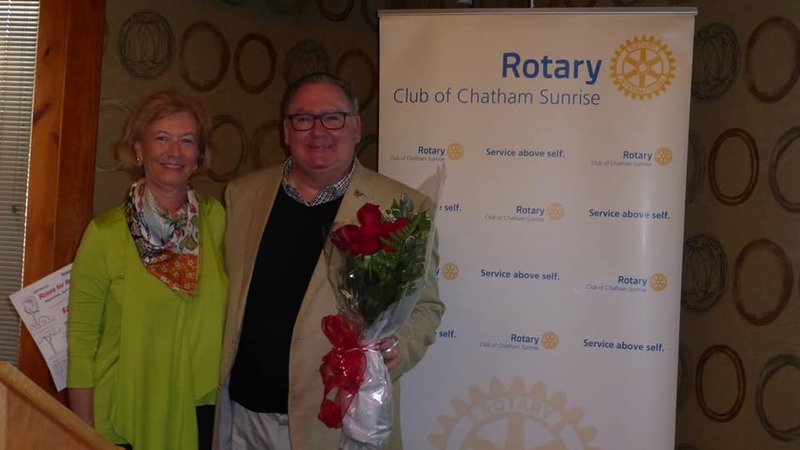 Congratulations and a well-done to John Lawrence, a Rotary Sunrise member. He has been such a great contributor to the benefit of the community. 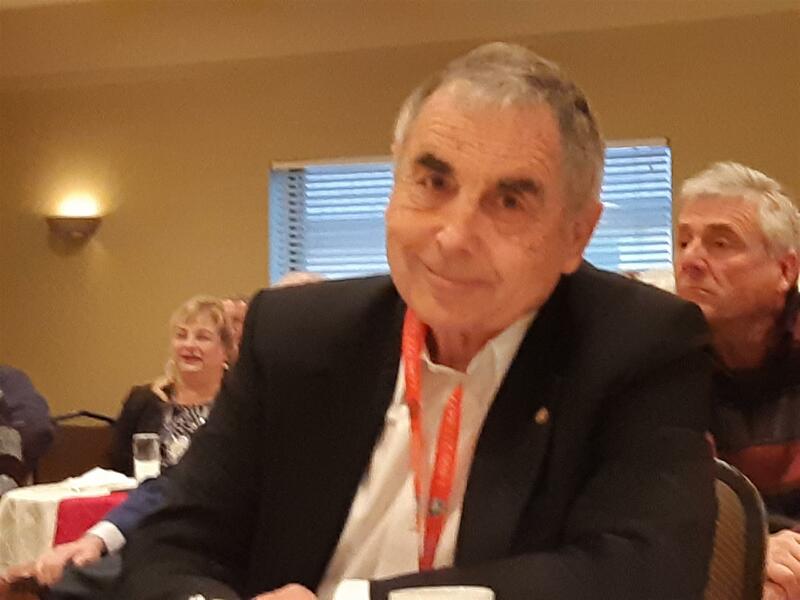 "John Lawrence and Darcy McKeough are the first to be named to the Chatham-Kent version of the YMCA Wall of Distinction – the highest award the association can bestow on an individual, which represents those that have been instrumental in shaping the 'Y'." Read the entire Chatham Daily News Article here. October 24th was World Polio Day, and Our Club President, Linda Goldsmith, Past President, Mary-Francis Kluka, with Assistant District Governor Don Leonard, spent the morning at CKSS. They presented the Interact club with a new Banner for their meetings and presented the club instructor/teacher, Jen Rankin, with a Paul Harris Fellow award, for her involvement with the Interact Club over the last 10 years. Pizza was brought in for Pizza for Polio, and the students learned about the efforts to eradicate Polio worldwide. A beautiful day to plant a garden at Howell park. It was a big job, but we had lots of help from our Rotary international Exchange Students. Thank-you for all the help! Oct 12th - Here we are planting 500 bulbs of the Canada 150 Celebration tulips for spring of next year at the Parkfield Restaurant around a newly installed flagpole base. Thank-you to the two volunteers from Community Living for the help. See here for more info on the Canada 150 bulb. President Kate takes the gavel!